In a relief for many students, the Supreme Court said that, a candidate who has secured minimum marks in the NEET UG-2018 shall be eligible for admission to the 1st year BHMS course for the academic year 2018-19. The eligibility criteria for admission to BHMS Degree Course were altered (pursuant to an instruction received from AYUSH Ministry) in the month of June 2018 though the information brochure was issued in February 2018. As per the changed criteria, a candidate from the open category will be eligible for admission only if he/she secured not less than 50th percentile of the marks in NEET-2018. A candidate belonging to the reserved category should secure not less than 40th percentile of the marks which shall be determined on the basis of highest marks secured in the all India common merit list in NEET- 2018. The writ petition filed by Association of Managements of Homeopathic Medical Colleges of Maharashtra against this changed eligibility criteria were dismissed by the Bombay high court. 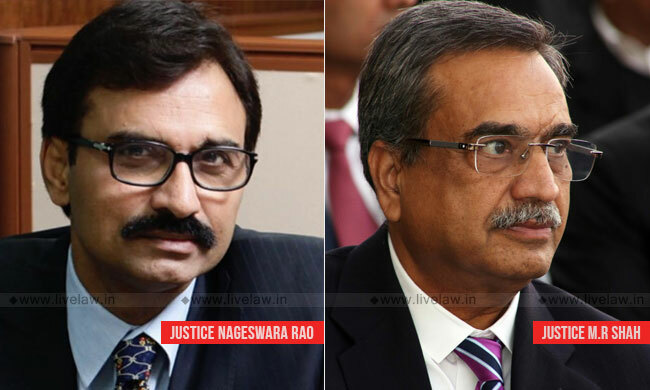 However, in the SLP filed by the Association, the bench comprising Justice L. Nageswara Rao and Justice MR Shah, noted that the High Courts of Patna, Karnataka, Madras, Rajasthan, Punjab & Haryana, Allahabad and Calcutta, in writ petitions filed in similar matter, have issued directions were issued in favour of the students permitting admissions on the basis of the marks in the qualifying examination without reference to the marks secured by them in the NEET UG-2018 examination. In this regard, the bench said: "Though the last date for admission to the BHMS course was 15th November, 2018, we are informed that the last date was extended till 20th December, 2018 by the Allahabad High Court. Though there is no agreement on the exact number of vacant seats, it is common ground that there are vacant seats for admission to the 1st year BHMS course in the State of Maharashtra. As there is no uniformity in the matter of admission to the 1st year BHMS course for the year 2018-19, as securing minimum marks in NEET is not required in some States pursuant to orders of the High Courts, we are of the opinion that the Appellants are entitled to the relief of admissions being made without reference to the letter dated 11th June, 2018 of Respondent No.1 and the consequential notice of Respondent No.3." The court then proceeded to issue a direction to complete the process of admissions strictly on the basis of the merit by 15th February, 2019. The Managements of the colleges were also directed to hold extra classes for students who will be admitted pursuant to this order to comply with the requirements of minimum working days. However, the court clarified: "This order which is passed in the peculiar facts of the case shall not be treated as a precedent. No opinion is expressed by us regarding the introduction of the minimum percentile as an eligibility criteria in the NEET examination."